TONY BELLEW is considering retiring in the wake of his victory over David Haye. The Liverpool fighter stepped up to heavyweight to stop his heavily-injured opponent in the 11th round of their 02 Arena bout, registering a shock win in the process. 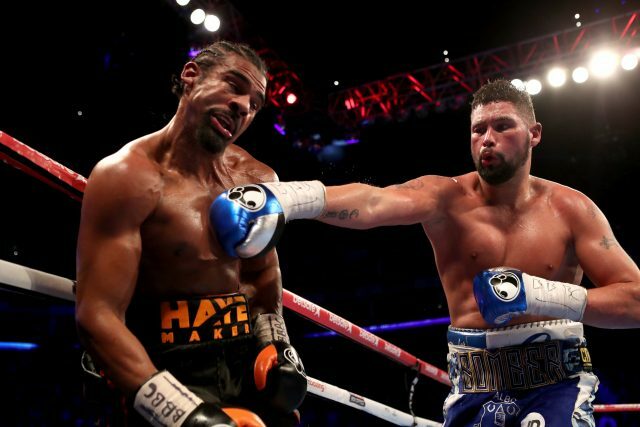 Despite Haye rupturing his Achilles midway through the fight, limiting his ability to do the damage he had pledged to do, the victory for WBC cruiserweight champion Bellew was a significant one. A 6/1 shot to win a fight at a weight above his usual, Bellew is famed for his all-out approach to preparing for fights and leaving everything he has in the ring. However, at 34, he admits he is unsure how much longer he can keep taking punishment. 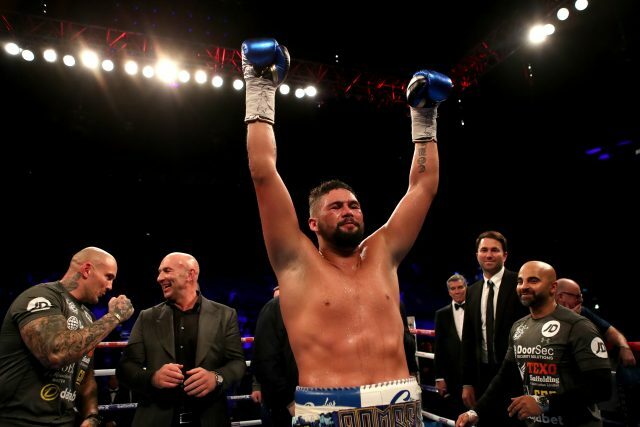 Promoter Eddie Hearn says Bellew has up to five fights left in him and in the immediate aftermath of his win, Bellew spoke about another switch to the heavyweight division, talking about fights with current belt holders Deontay Wilder and Joseph Parker. He also discussed the possibility of a rematch with Haye, something he repeated when England captain Wayne Rooney visited him in his dressing room. Bellew – who broke his right hand early in the fight – says away from possible retirement he has a number of options. “If people want to come and talk to me… I don’t know what’s going to happen, but it will have to be something special,” he added to the BBC. It was announced on Sunday night that Haye’s injury had been operated on. A statement from the fighter’s representatives read: “David underwent surgery to his right Achilles this afternoon, after completely rupturing the tendon during Saturday night’s fight with Tony Bellew.